MBC TV new Wednesday and Thursday drama King 2 Hearts will start airing on March 21st, 2012. 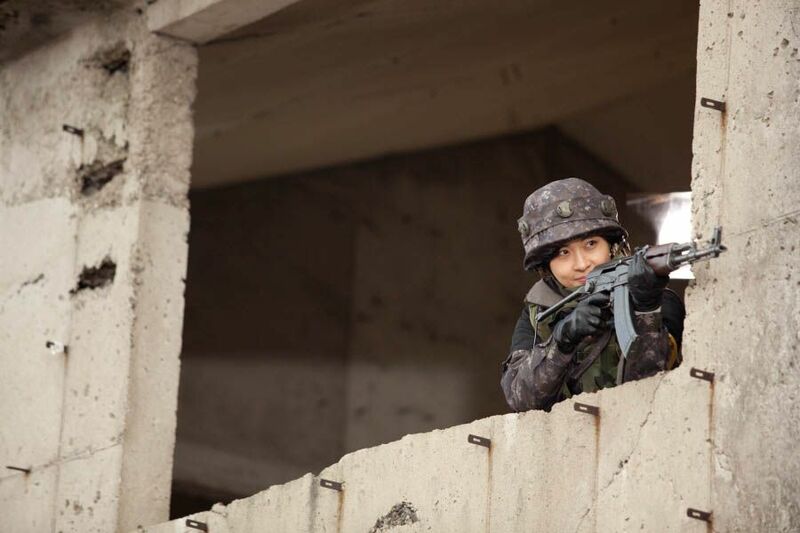 On March 15th, 2012, production team released a set of stills where Ha Ji Won, Lee Seung Gi, and Jo Jung Suk dressing in combat uniform to go on battlefield. The scene will be broadcast in episode 3, and tells the story of Ha Ji Won, Lee Seung Gi and Jo Jung Suk received the training together in order to participate in International Military Office Congress. The scene has been shot on Jeju Island on February 20th, 2012. The actors were divided into South and North single team for training. 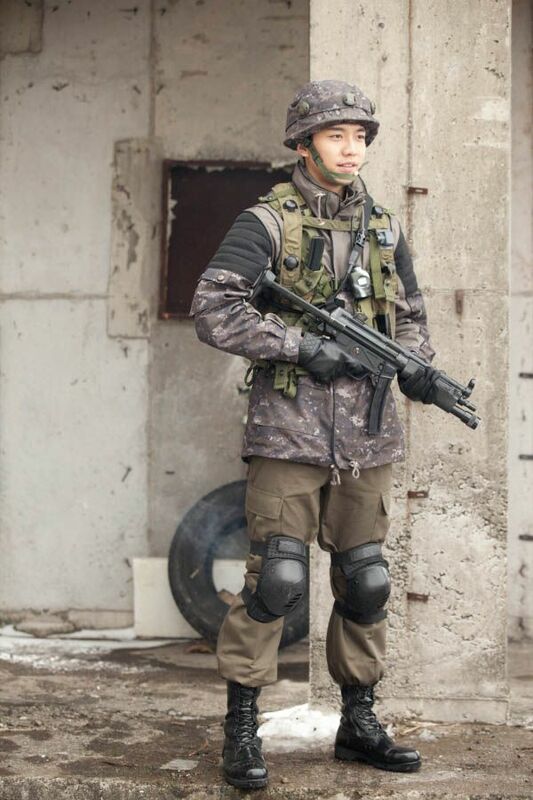 In order to achieve realistic effects, Ha Ji-won and Lee Seung Gi were fully armed, and even made use of MILES: Multiple Integrated Laser Engagement System state-of-the-art equipment normally used by the army. The actors who came into contact with these high-end equipments for the first time were amazed. After receiving practical lesson, actors went into battle, freely performed the instructions to conceal, cover, and shoot. In addition, the special effects team also used a variety of technologies to make the scene looks more realistic, making actors as if actually on the scene. 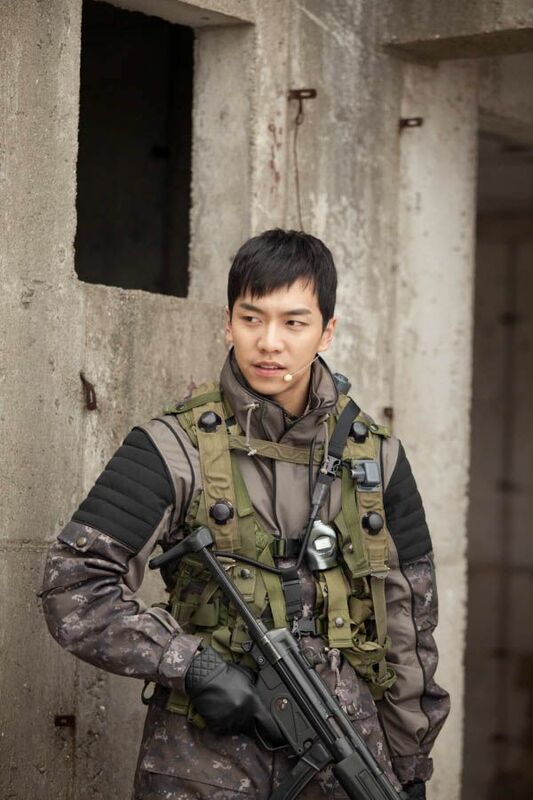 Ha Ji Won will also showcase her “perfect accuracy shooting” skill, while Lee Seung Gi also perfectly portrayed the image of seriousness with slightly ruffian. 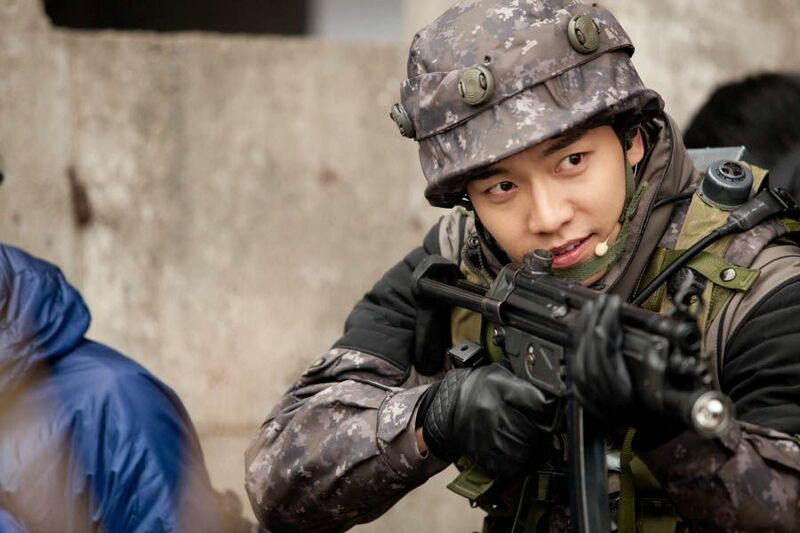 Filmmaker said, "The production team continuously strives to show a realistic training scene, and the performance of Ha Ji Won and Lee Seung Gi was very good, please stay tuned to King 2 Hearts."